We’re giddy with excitement to finally bring you the first instalment of our ‘Meet the Expert’ series. It’s been a total joy working with our four experts, together with sofa.com, to answer our customers’ most asked questions. First up, we’re talking bedding! The bedding landscape is now changing, with Secret Linen Store and the forefront of the sumptuous sleep revolution. 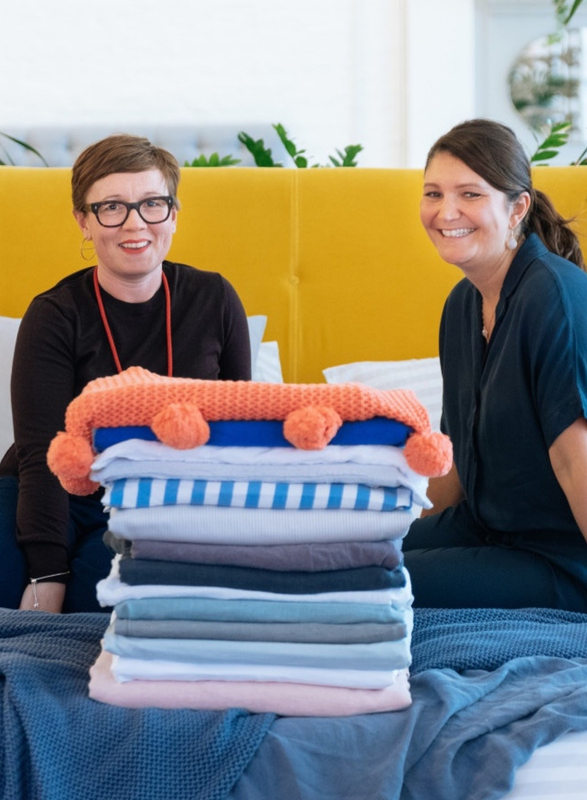 The brand founded by two sisters (out of four) have travelled the world to find the best products, and have been making beautiful and affordable bedlinen for years now. They’re adored by loyal customers and interior lovers all over the UK, and now have designers queuing up to work with them! Beautiful cotton washed percale bedlinen starts at just £35 for a single duvet cover, and this affordable brand only uses the highest quality 100% cotton. As well as the staple whites we all love, their range also includes beautiful on trend patterns and a wide range of eye-catching colours. 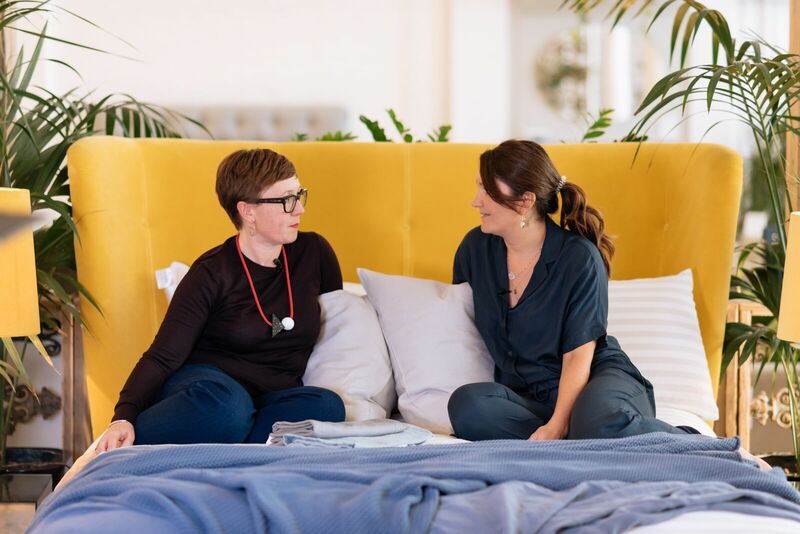 My Bespoke Room co-founder, Diana Greenhalgh, caught up with Molly Freshwater to get the inside scoop on making your bed feel, and look, like 5* hotel bedding! 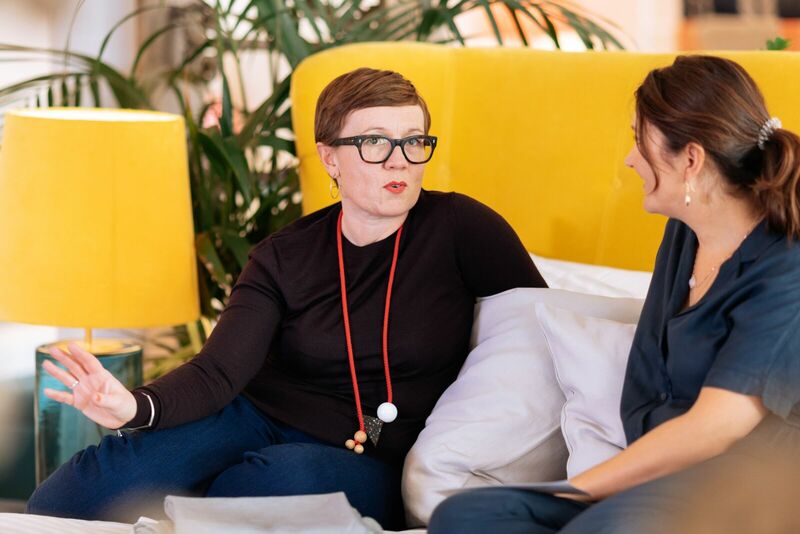 Read the full interview below, where Molly answers your most asked questions, including how to re-create that amazing hotel bed feeling at home and her tips to get that perfect night sleep that we all yearn for. Let's start with the basics. What are the most popular types of fabrics when it comes to bed linen? “Right now, there is a definite trend towards linen. It gives a very relaxed and laid back feel with its crumpled look. It’s all over Instagram and the best part is you don’t have to iron it... In fact, ironing can ruin it! Percale is very popular too. Our 600 thread count white luxury is one of our best-selling fabrics as it’s extremely silky, luxurious and feels like a million dollars. Finally, we also have our jacquards. They have a pattern woven into them, which are also a firm favourite with our customers." What's the best type of fabric to use on your bed for summer months? 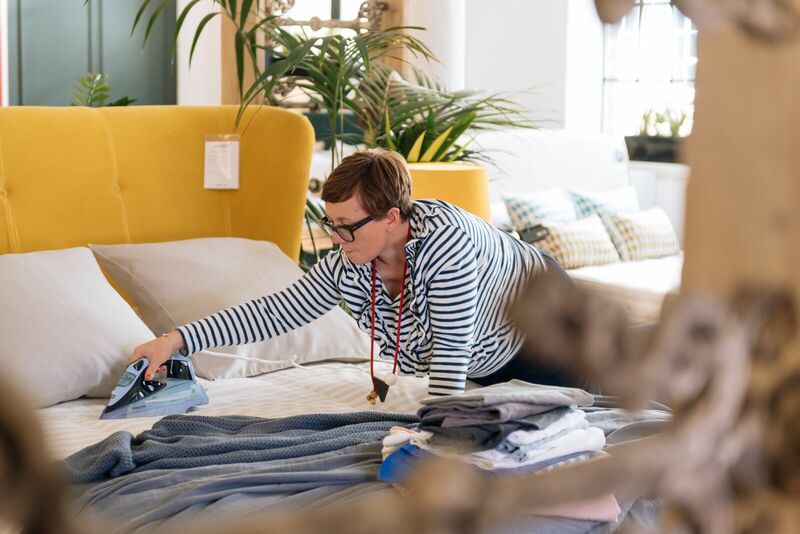 The phrase thread count gets banded about a lot and used all the time, but what does it actually mean? “Thread count refers to the number of threads per every square inch of fabric. It’s important to recognise that thread count is not the be-all and end-all. It is important, but it’s the yarn that’s used which is more important. As an example, we never go over 600 thread count as we believe that’s the highest you can go without twisting the yarn, or using a very fine yarn." What's on trend right now? We've all been to those hotels where the bed is just insanely comfortable. How do we re-create that feeling at home? "The first thing about that hotel room and that hotel bed when you walk in, is that it’s clean! The bed linen has just been freshly laundered, and pressed, which is a big factor in creating that feeling. The ideal is to change and wash your bed linen at least once a week. You would change your clothes every day, or every few days, so ideally you need to do the same with your bedding." 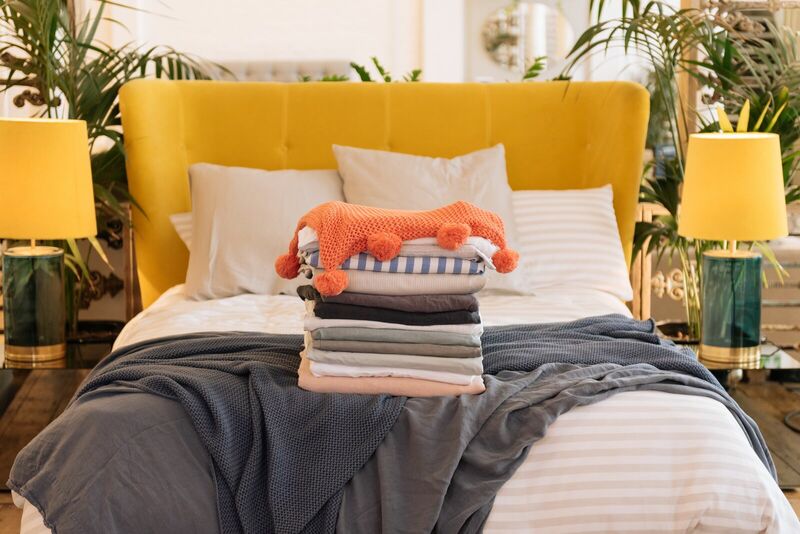 What are your top tips for keeping your bedding looking and feeling fresh for longer? "Washing your linen frequently will keep it looking fresh. Also, changing your pillow inserts once a year will go a long way. The pillow is the part that gets the most wear, and you should refresh them to make sure you have a plump pillow for a greater sleep experience." "Yes, I have to! It’s part of my morning routine and even though I know no one is going to see it, it’s about the beginning of my day and moving on." 1. Where do you source your fabrics from and why? "All our bedding is made in sunny Portugal. We believe that this is the best place in the world to make bed linen; the sun shines and the people are skilled in making fabulous textiles for hundreds of years. As we are all aware of the environment too, its important to us that our bed linen and bedding doesn’t make long journeys around the world. We make our bedding freshly to order in the UK and all our bed linen, cushions and throws in Europe." 2. Should we iron our bedding? "Yes and no. If it is percale or one of our jacquards, I think it looks better ironed. If you have our 100% Linen or relaxed denim ranges, please don’t!" Is it worth investing in a mattress topper if we've invested in a good mattress? "This is all about feel and comfort. Adding a topper will make your bed feel like a cosy nest! I have a topper in the winter, and revert back to the simple mattress in the summer months. A topper certainly makes your bed feel more snuggly, so it's really a preference thing if you already have a great mattress. If you don’t have a good mattress and no pennies to buy one, a topper can be a great way to spruce it up while you wait!" Duck, goose, fibre filling? What's the difference and how do I choose? "Wow, this is a BIG question. Firstly, you need to choose whether you prefer fibre or feather. Some people don’t like to have a natural filling. Then I would say choose the best you can stretch to. With natural fillings, I love the softness of down, but some people prefer the crunch and support of feathers – it’s so personal! We have something for everyone and we are always here to give advice. It’s so important to get right and we have Jodie, our expert, who can help any time." Molly was interviewed on Sofa.com's Audrey Bed in Canary Yellow Velvet. Sofa.com’s Audrey Bed is the epitome of mid-century style. Taking its inspiration from their very own Betty cocktail chair design that was popular in the 50's and 60's, it has an elegantly curved headboard with buttoned detailing, a rounded foot board, and tapered legs which all hark back to the mid-century era. Upholster in a rich-coloured velvet to highlight its shape or a patterned fabric to make a real style statement.